One of my favorite holidays is Halloween. 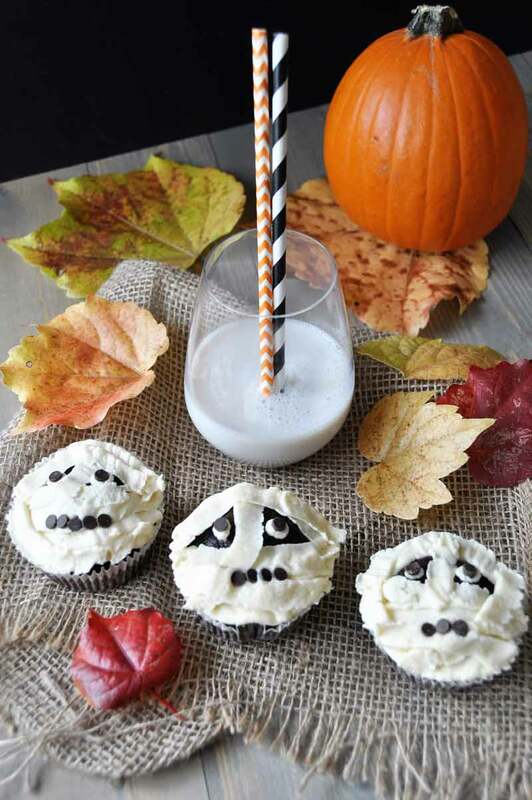 I love that it takes place during one of my favorite seasons (fall), that it’s fun and a little spooky, that it gives you and excuse to throw a costume party, and that you get to eat cupcakes! Isn’t that the most exciting part of any holiday? Baking, decorating, and eating cupcakes is almost definitely the best part of any celebration. Don’t you think? When my kids were little we loved to make festive treats for Halloween. I mean, let’s be honest, a good cupcake is SO much better than a candy bar. It was so much fun letting them mix the dry ingredients, beat the batter, and sift the powdered sugar for the buttercream frosting. But the best part of making homemade cupcakes was watching them decorate them. 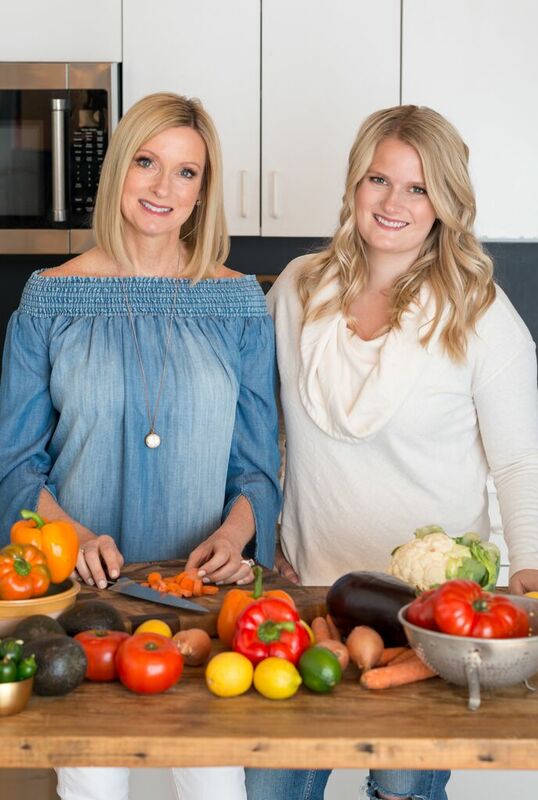 Is there anything more rewarding than seeing the concentration and creativity in your kid’s eyes as they create their very own culinary masterpieces? I think not. My kids may be grownups now, but that isn’t going to stop me from whipping up a batch of vegan chocolate mummy cupcakes for my husband. We’ll eat a few and I’ll deliver the rest to my friend’s little guys who live down the street. The perfect compromise. When I chose to go vegan, almost three years ago, I was concerned that my days of baking drool worthy cupcakes might be over. I wasn’t sure how I was going to replicate the same texture and density of the cupcakes that I used to make with dairy. 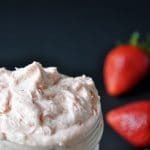 Fortunately, I quickly discovered that Silk® plant-based milk was all that I needed to make the same delicious cupcakes that I had always made. 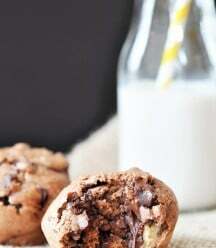 I usually use Silk® Almondmilk for most of my baking, but I love the combination of chocolate and coconut so I decided to use their Coconutmilk for a change of pace. The texture of the cupcakes turned out exactly as I had expected them to, moist, light, spongey, and delicious. I also used it for the vanilla buttercream frosting and it turned out perfect. The flavor of Silk® Coconutmilk has a subtle nutty flavor, it won’t take over the taste of the other ingredients in your recipe, and it’s dairy-free, gluten-free, and non-GMO. What more could you ask for? There’s still almost an entire carton left for me to enjoy, so I’ll be adding it to my morning coffee, smoothies, and oatmeal. It’s also wonderful in creamy soups, like this one. And of course, it pairs perfectly with chocolate vegan mummy cupcakes. The first thing that you’ll want to do is line a muffin tin with cupcake papers. I used white, because mummy cloth is white. Next, whisk the dry ingredients together until well combined. The flour mixture will look light and airy. Now beat the wet ingredients in a large mixing bowl until smooth and creamy. Add half of the flour mixture and beat on a low speed until it starts to combine with the wet ingredients. 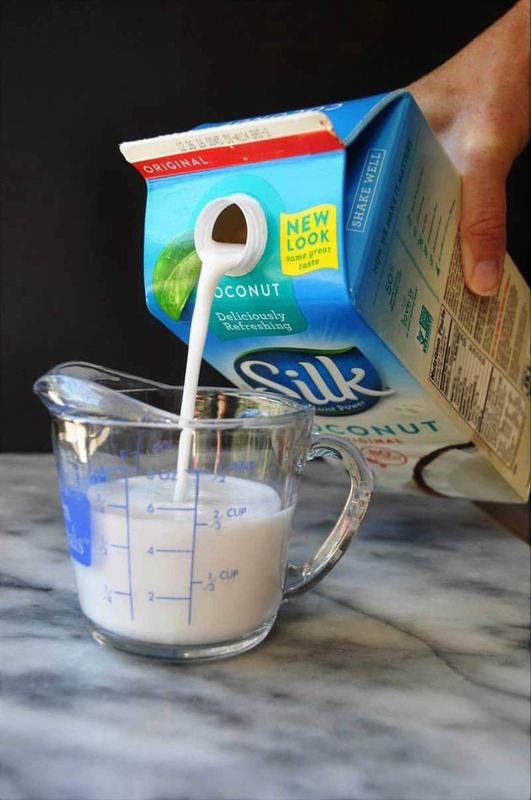 Slowly add half of the Silk® Coconutmilk. Repeat with the other half of the flour mixture and milk. Carefully add the boiling water and beat on a slow speed until just combined. The batter will be thin. 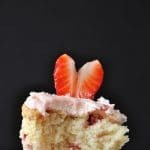 Fill the muffin tins three quarters of the way full and bake for approximately twenty-five minutes or until a wooden toothpick comes out clean when inserted in the center of a cupcake. When the chocolate cupcakes are completely cool it’s time to decorate. 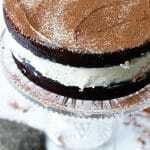 Make the vegan vanilla butter cream frosting. Attach a thin flat pastry tip on a pastry bag and fill half of the bag. 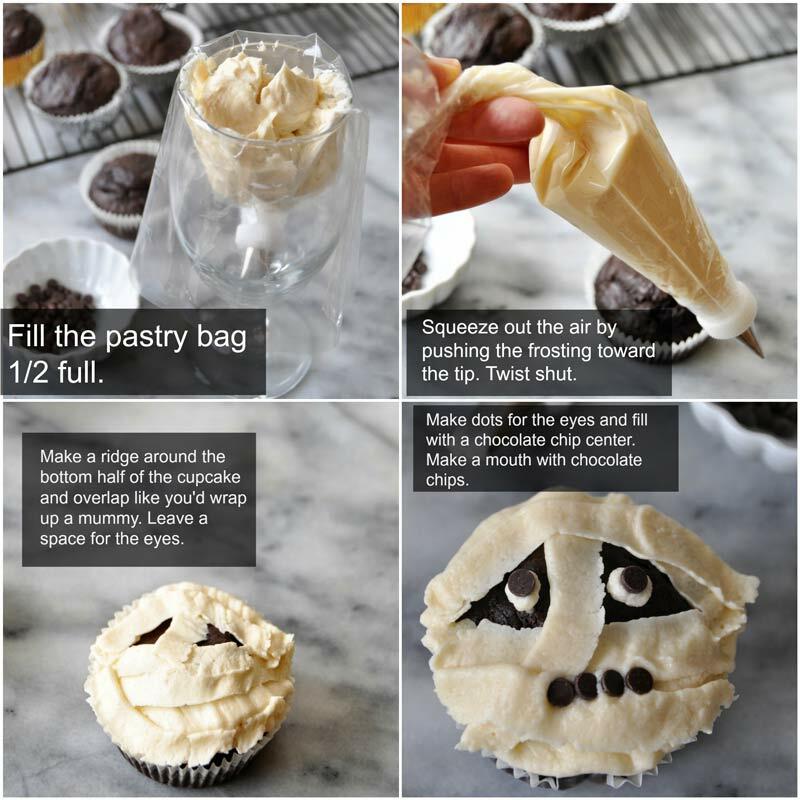 Squeeze the air out by pushing the frosting toward the tip, then twist the top of the bag closed. Squeeze the frosting out and cover the bottom edge of the cupcake and overlap as you make your way toward the top. Leave room for the eyes. When the entire (except for the space for the eyes) cupcake is covered put two dots of frosting where the eyes should go and put a mini chocolate chip in the center. Add mini chocolate chips for the mouth. 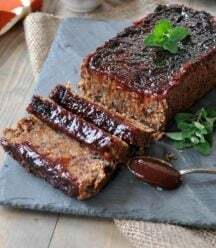 Baking dairy-free and vegan doesn’t have to be hard. My cakes and cookies taste the same as they always have, only I use Silk® plant-based milks to cook with. By the way, don’t you love their new packaging? It’s so clean and modern. Love it! 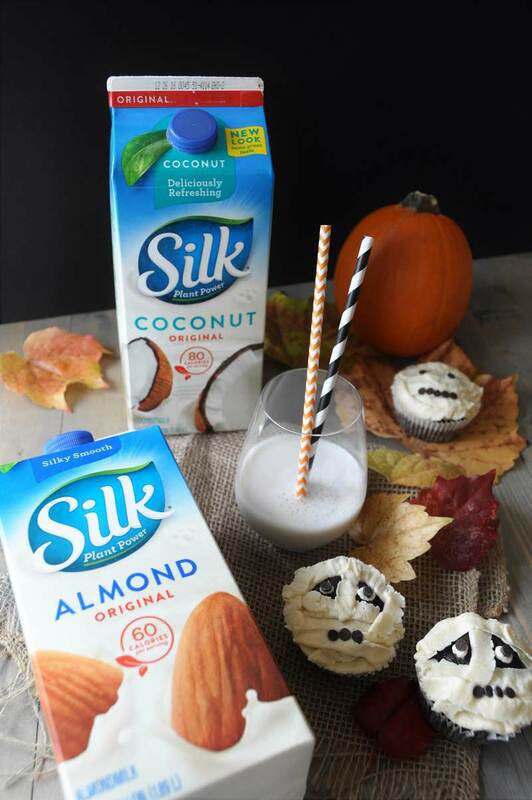 If you’re ready to bake some Halloween mummy cupcakes, do yourself a favor and bake them with Silk® Coconutmilk. It has fifty percent more calcium than milk and it’s only eighty calories per cup! What’s not to love? 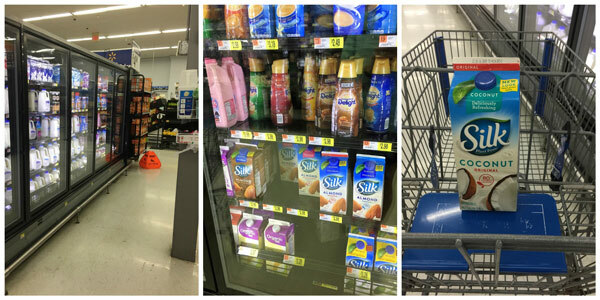 You can find it at Walmart in the milk aisle. Send me a picture of your mummy cupcakes! 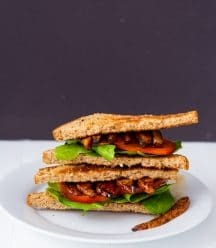 I love seeing your creative spin on my recipes. Vegan chocolate cupcakes and vanilla cream frosting that look like mummies! Perfect for Halloween! 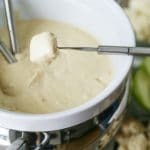 In a medium bowl whisk the dry ingredients together until well blended. In a large mixing bowl beat the coconut sugar, maple syrup, aquafaba, and vanilla together on medium high speed until the sugar is completely dissolved. Add half of the flour mixture and beat on low speed, add half of the coconut milk and continue beating until it begins to moisten. Add the second half of the flour mixture and milk and beat until just combined. Carefully add the boiling water and beat until just combined. The batter will be thin. Fill the muffin tins ¾ full and bake for twenty five minutes or until a toothpick comes out clean when inserted. Cool on a wire rack for ten minutes and remove the cupcakes from the muffin tin and cool completely. 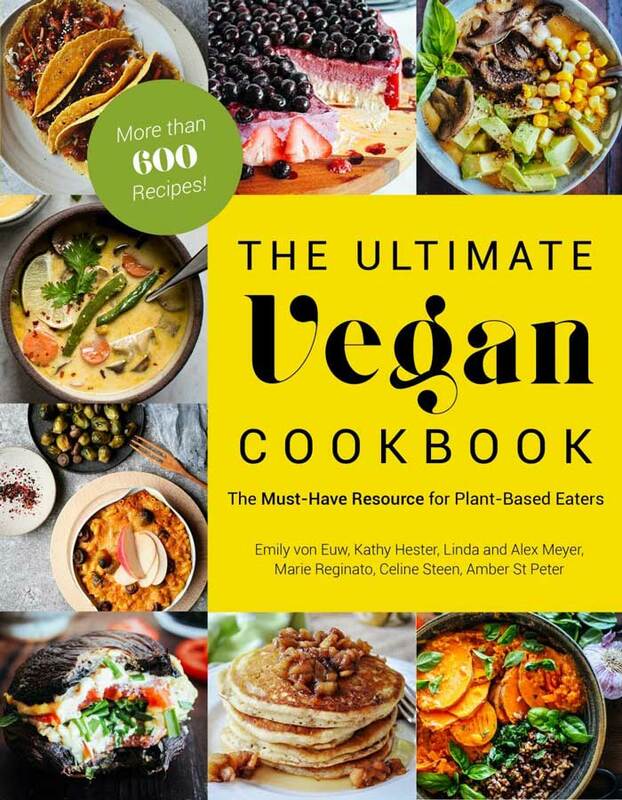 In a large mixing bowl beat the vegan butter until it begins to look creamy. Add the confectioner’s sugar, vanilla, tapioca starch, and coconut milk and beat on high until smooth and creamy. 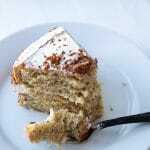 Add more milk if necessary, but remember that you’re going to use a piping bag so it should be stiffer than frosting that you’d spread on top of a cupcake. Use a thin flat decorating tip. Attach the tip to the pastry bag and fill the bag half full. Squeeze the frosting toward the bottom of the bag toward the tip and twist the top shut. Squeeze the frosting out in a line around the bottom edge of the cupcake. Overlap the frosting to look like mummy fabric. Leave room for the eyes. Put two dots of frosting where the eyes should go and put a mini chocolate chip in the center of each eye. Use the chocolate chips to make a mouth. Use your creativity! There’s no wrong way to make these. These are too cute, Linda! So cute!! I would take a cupcake any day over a piece of candy!! These are really adorable! They make me wish I was going to a Halloween party! These are so cute and fun, I kinda wish I was going to a party now too. Thanks! I love Halloween too and I totally agree cupcakes over candy hands down! Silk Coconut Milk is probably the milk I buy the most. 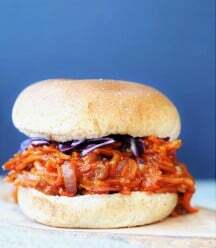 I like that the flavour is really mild and it works in everything, sweet or savoury. Yay cupcakes! They're winning over candy on this side of the internet. 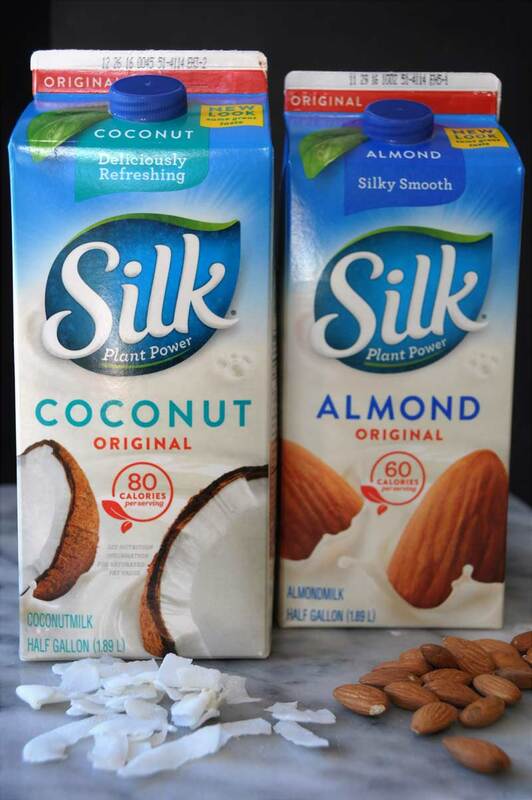 ;) I use Silk® Almondmilk and Coconutmilk equally, and I just bought their chocolate almondmilk, it's SO good! Aw these are so cute! 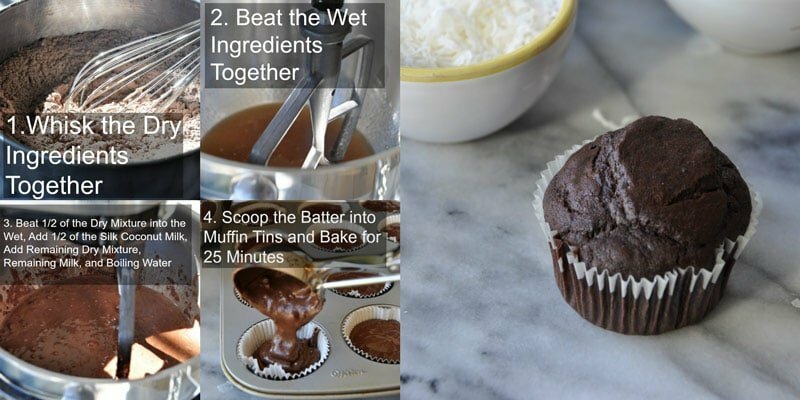 Your chocolate cupcake recipe looks different from many that I've seen, too. I'm intrigued by the aquafaba and coconut sugar in them. Thank you! Aquafaba is my favorite egg replacer. The texture of my cupcakes is exactly like the ones I used to make with eggs. Coconut sugar is generally what I use if maple syrup won't do the trick. 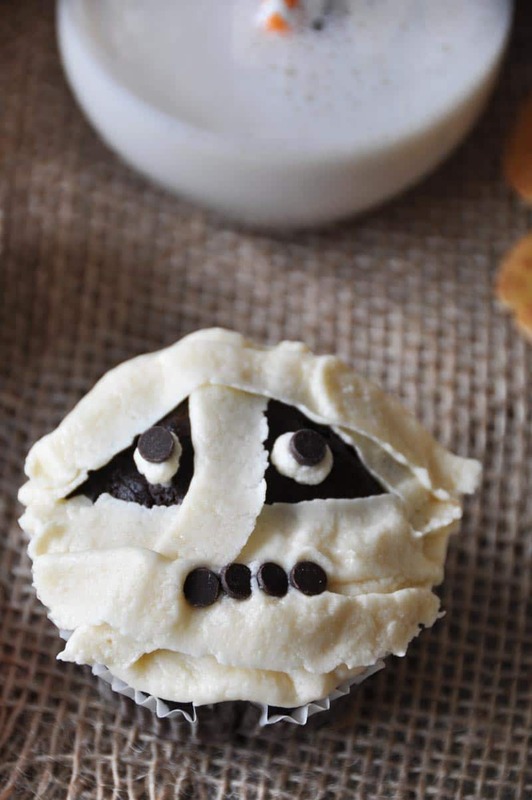 Those little mummy cupcakes are beyond adorable! 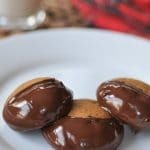 Definitely a treat I need to try making this weekend for my kids! They would love these! 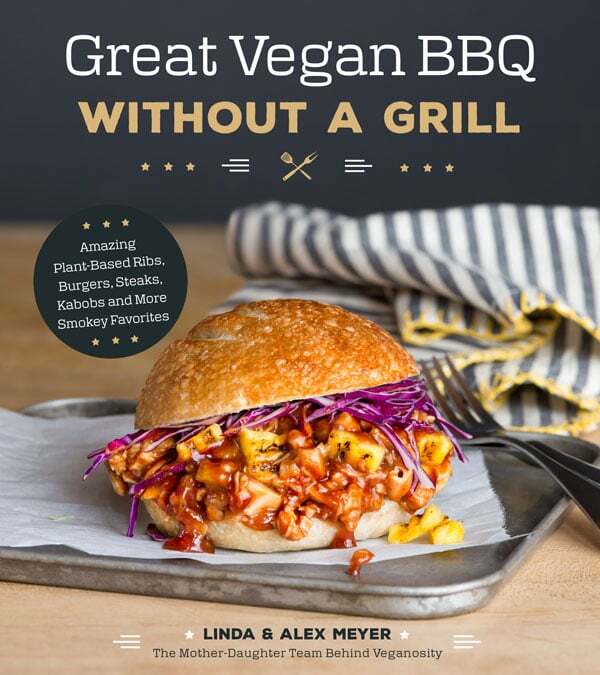 Thanks for sharing, Linda! These are SO cute!!! I love them, which could definitely present a problem. I'd totally be all in for these for Sam's bday Monday...but I think I may actually buy some this year. I'm overworked and just want to enjoy the day with him. Maybe I'll change my mind. LOL! Omg, these are adorable and look out of this world, delicious! Cupcakes are actually my favorite dessert type to eat and I would be all over these. The mummies look so cute and delicious at the same time, lol! Thank you, Brandi! They were a lot of fun to make, and even more fun to eat! :) I'm a big cupcake fan too.